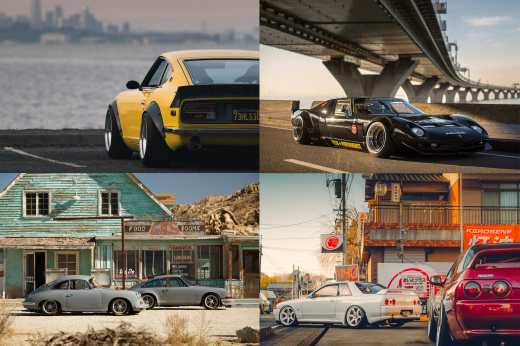 There aren't too many drift dynasties around. Let alone one quite as successful as these two brothers. 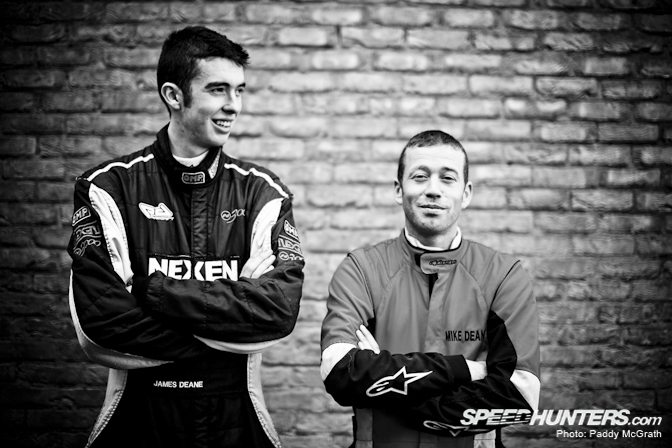 Born and raised in County Cork, in the south of Ireland, James (L) and Mike (R) are the most successful brothers in the European drifting world. 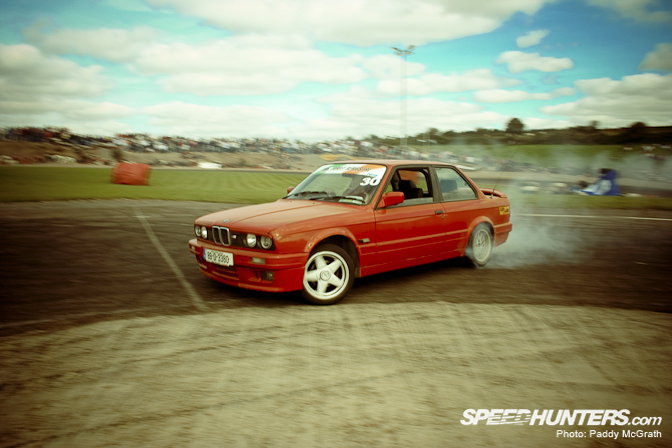 To get a better view of this story, we need to go back to 2004, where I first saw Mike competeing in an E30 325 BMW. Like pretty much all Irish drift stories, this one again begins at the home of Irish drifting, the Rosegreen / Tipperary International Speedway aka the Rosebowl. 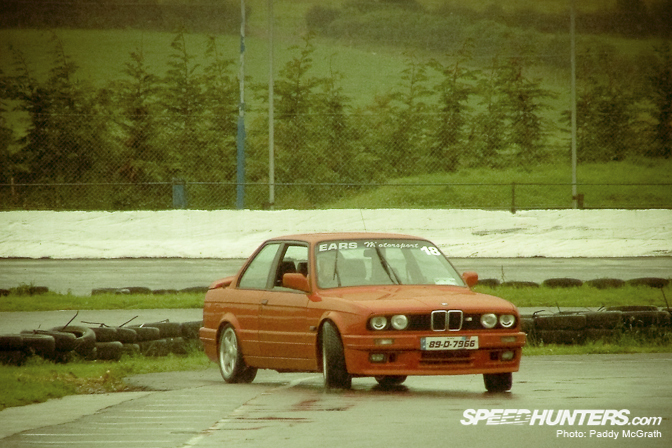 There was a lot of guys driving that day, what was the first round ever of the Irish Prodrift series, known as D1 Drift Series Ireland back then. The events back then were a much more grassroots affair, you just needed a helmet and a RWD car to compete on the infield course, a tight karting track with multiple hairpins. Although it was my first event, a lot of these guys had been out before. 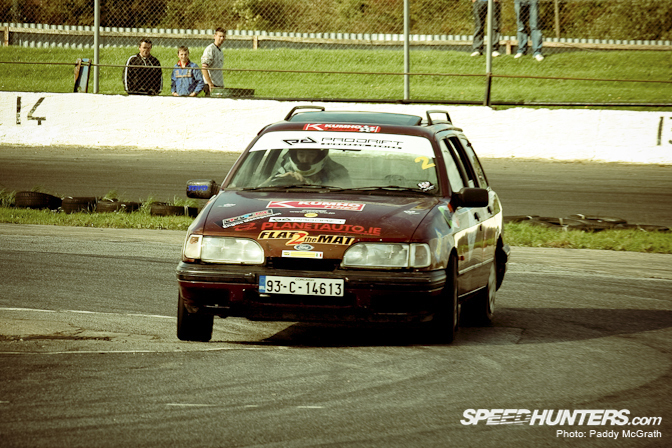 Mike had actually won the very first Irish drifting event the previous year. He's a quiet, understated guy but with a great sense of wit and can nearly always found to be behind a practical joke or two. In fact, it was said that during an early round of the 2005 series that Mike had asked his brother for a loan of his 325i BMW to go for a spin for the day. I don't think his brother quite understood what Mike's definition of a 'spin' was. That day, Mike piloted the near standard 325 to a Top 16 finish in the opening round of the 2005 series. I don't know how much truth there was in the story but I wouldn't put it beyond Mike. In saying that, drifting with the Deane's is a family affair, with everyone showing up to help out in whatever way they can. It wasn't long before Mike graduated to a more powerful Nissan Silvia S13 with an unusual S14 frontend conversion. 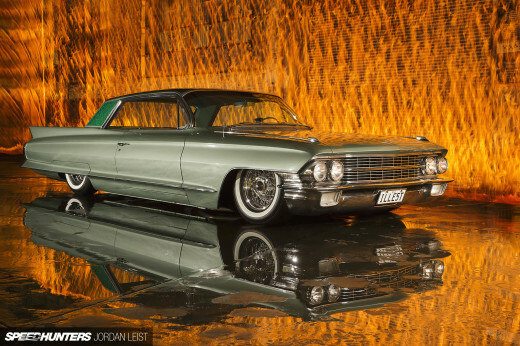 If memory serves me correctly, the car was imported from Japan as a former 'Powerful Garage' car. Mike was always a consistent finisher, his rallying background gave him an edge in achieving solid results which aways ensured good results at the end of every season. 2006 also saw younger brother James begin his drifting career in a Ford Sierra estate with a welded differential and a stripped interior. James is 15 years old in this picture and he won his class that day. James is like his brother, a quiet lad with a heart dedicated to motorsport. 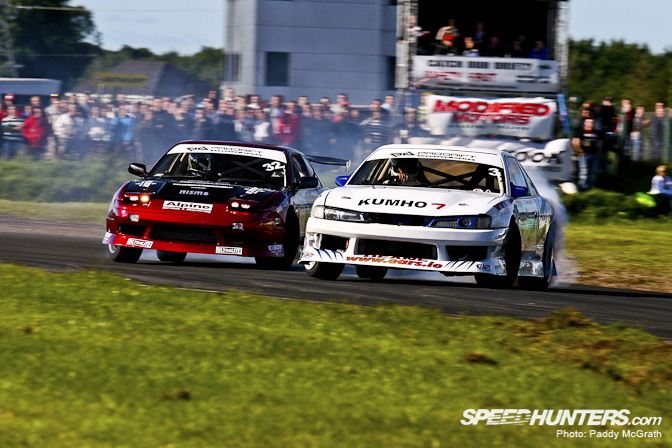 2007 was another good year for the Deanes, Mike stuck with his S13 (here pictured against one Dean Karnage) and James debuted in pro-class at 16 years old in his newly aquired Nissan Silvia S14. Having only a year earlier begun his career, James took his first win at pro level later in 2007 at the Rosebowl. 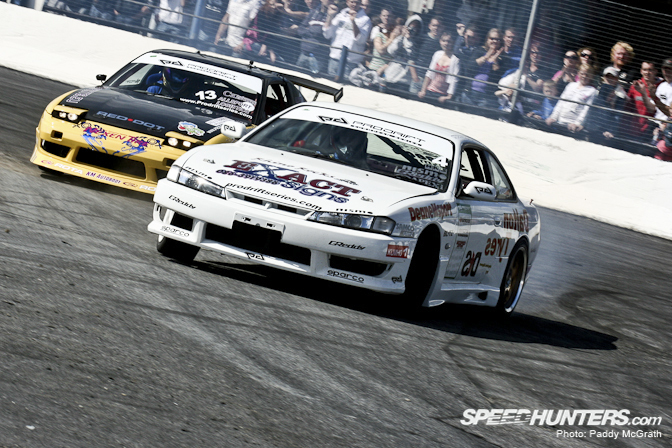 Defeating Martin Ffrench in the final of an epic day of drifting. Here was the youngest competitor on the Prodrift roster beating the old guard at their own game. With all eyes on James, Mike kept improving his game quietly in the background and always remained as competitive as ever. 2008 was the big year for James. 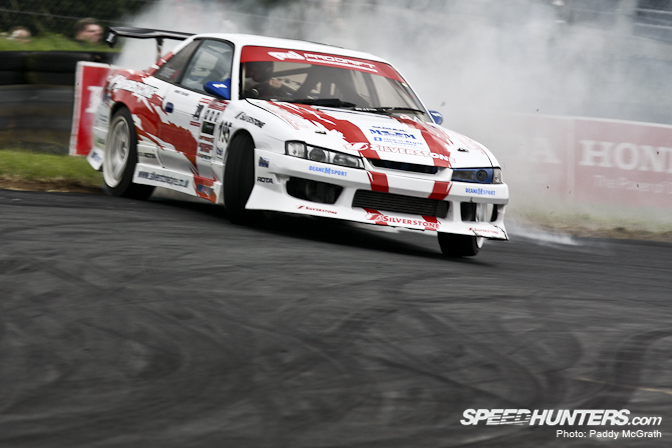 Having only being competing for a year at pro level, James launched a challenge for both the Irish and European Prodrift titles. 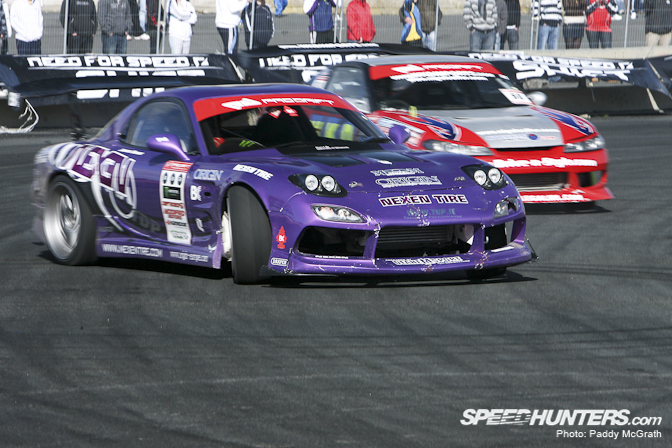 With a full Nexen tires backing, James began his title challenge in his facelifted S14 at Mondello Park in early 2008. 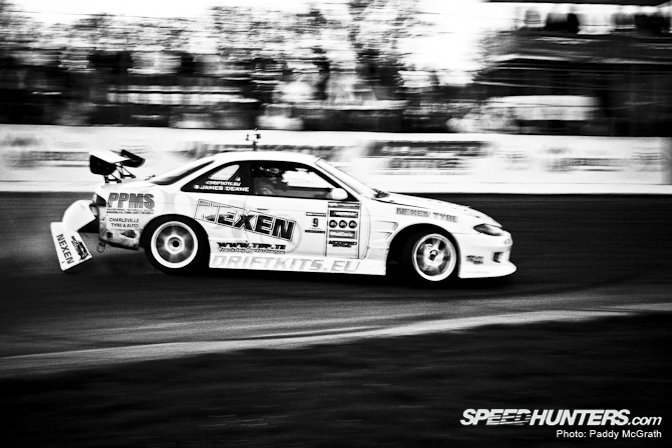 2008 saw the biggest loss to ever occur in Irish drifting. The closure of Rosegreen. Due to noise complaints from locals, late '08 saw a long legal battle come to an end which saw Rosegreen close its doors to drifting. Mike Deane was the first ever victor at a drift event in Rosegreen, so it was apt that James would win the last round ever to be held there. 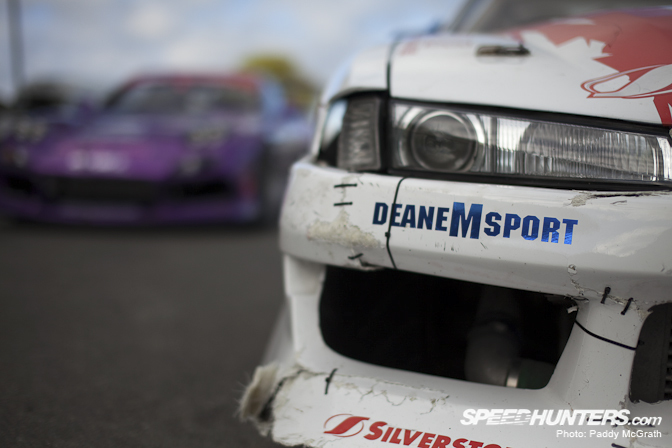 A venue opened and closed by the Deanes, the brothers had made a permanent mark in the history of Irish drifting but more was to come. As 2008 wrapped up, the younger Deane had claimed both Irish & European titles along with an invite to the RBWDC in Long Beach. 'A dream come true' for young James. James' year didn't start quite as well as he would of hoped. Although his skill development shows no sign of slowing down, he was plagued with engine problems in his new SR20 powered RX7. When it did work, James was back on top but multiple engine failures put an end to his '09 title ambitions. Breaking back out of James' shadow, Mike claimed the '09 Irish title with ease. At the final round he only needed to qualify for top 16 to be crowned champion, which he did effortlessly. But as a reminder to his older brother, James won out the event in his now very much sorted SR-X7. 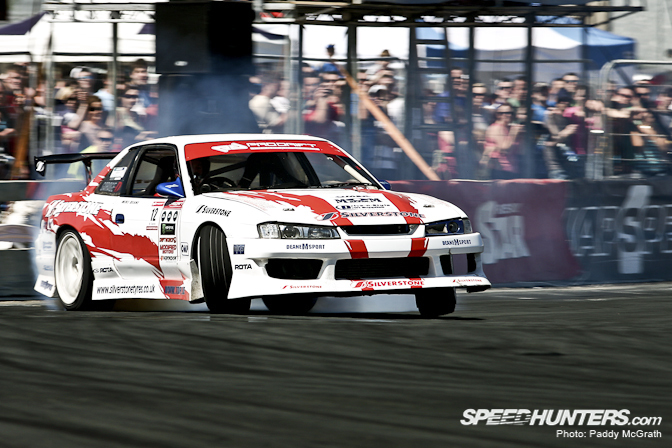 2009 finished up with a Prodrift team battle event, where these brothers drift paired up with Darren McNamara to obliterate the opposition throughout the day and take another title home for the Deane trophy cabinet. What does 2010 promise for the Deanes ? With both brothers in competitive, reliable cars, nobody will be calling early predictions on the 2010 champion. Although a betting man wouldn't go too far wrong to put money down on another title for the Deanes in 2010. Brothers off track and rivals on track. 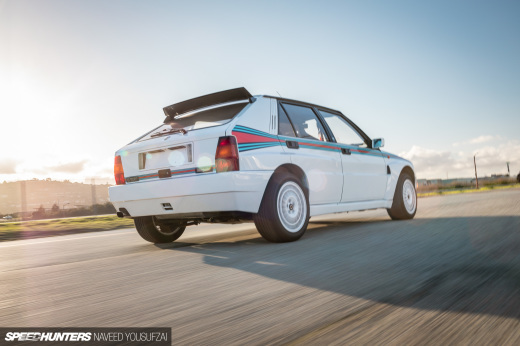 James Deane is a superb drifter. Saw in a demo few years back, and the kid has really good control and perception, especially if you consider his age.